Accredited Investors interested in membership in Element 8 are invited to participate as a guest in one meeting per year. If you’re interested in membership and would like to attend an upcoming meeting please email info@element8angels.com. The CleanTech Alliance Breakfast Series is your opportunity to rub elbows with distinguished cleantech executives from across Washington State, the Pacific Northwest and beyond. Presented by Perkins Coie, join 100 cleantech industry leaders for a monthly conversation featuring a tremendous lineup of distinguished speakers. Each event is held on the second Wednesday of each month (7:30 a.m. to 9:00 a.m.) from September 2016 through May 2017 (except November, which is reserved for the CleanTech Alliance Annual Meeting). For more information and to register for the events, visit the CleanTech Alliance website. 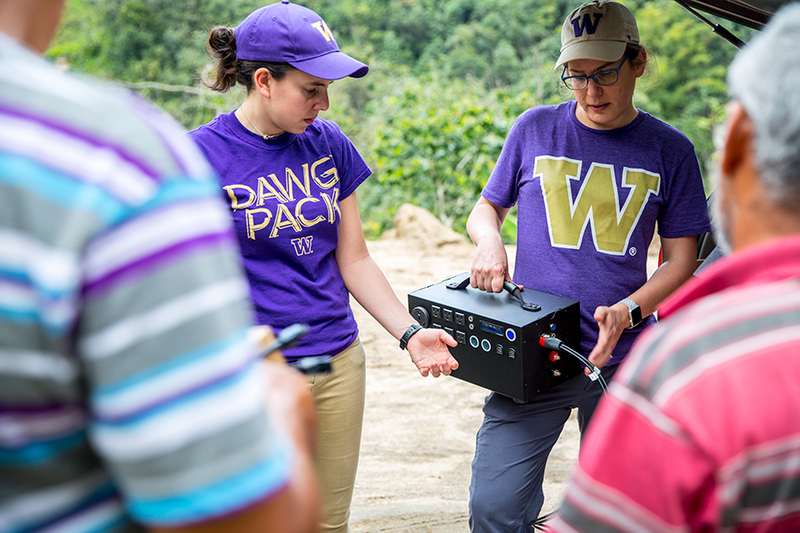 Lilo Pozzo, the Weyerhaeuser Endowed Associate Professor of Chemical Engineering at the University of Washington (UW), was recognized by the Clean Energy Education and Empowerment Initiative (C3E) for outstanding leadership in education. Pozzo was one of eight honorees at C3E’s annual Women in Clean Energy Symposium. C3E was established in 2010 by the Clean Energy Ministerial (CEM), a high-level forum comprised of 25 countries and the European Commission that aims to advance clean energy technology within the global economy. The United States’ C3E program is led by the U.S. Department of Energy in collaboration with the MIT Energy Initiative (MITEI), the Stanford Precourt Institute for Energy, and the Texas A&M Energy Institute. Out of recognition that the ideas and talents of all members of society are essential to meeting our future clean energy challenges, C3E aims to close the gender gap in STEM fields and increase women’s participation and leadership in the clean energy sector. 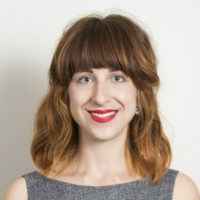 As part of the C3E award, Pozzo received $8,000 to advance women in clean energy, which she says she will use to support both graduate students from her research group and undergraduates involved in entrepreneurship. Pozzo investigates the relationship between a material’s nanoscale structures and its macroscale properties. 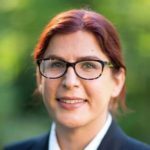 She is an expert on the development of new polymeric, colloidal, and nanoscale materials for advanced energy applications — including solar photovoltaics, batteries, and fuel cells — and in 2013, she was recognized by the U.S. Department of Energy with the Early Career Award for standout researchers in the field. 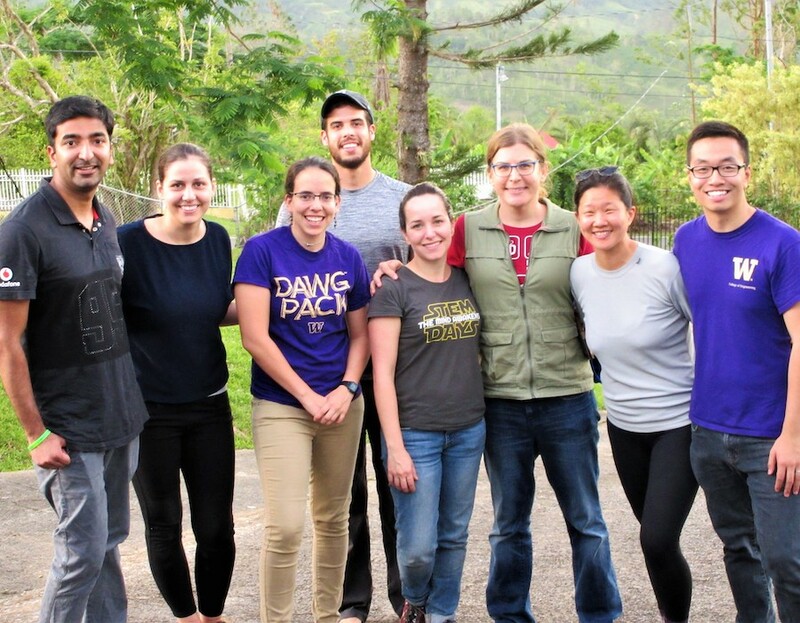 In November 2017, just two months after Hurricane Maria devastated Puerto Rico, Pozzo led a team of CEI and global health students to the rural mountain municipality of Jayuya to assess energy needs for the local clinic and residents that rely on electricity for healthcare. They also installed four solar PV-battery “nanogrids” to power devices like an inflatable orthopedic mattress and refrigerators for insulin storage. The initiative gained national recognition, including in a New York Times article on the aftermath of the hurricane. Pozzo went on to raise the funds needed to transform the initiative into a year-long project‐based learning course for clean energy students. 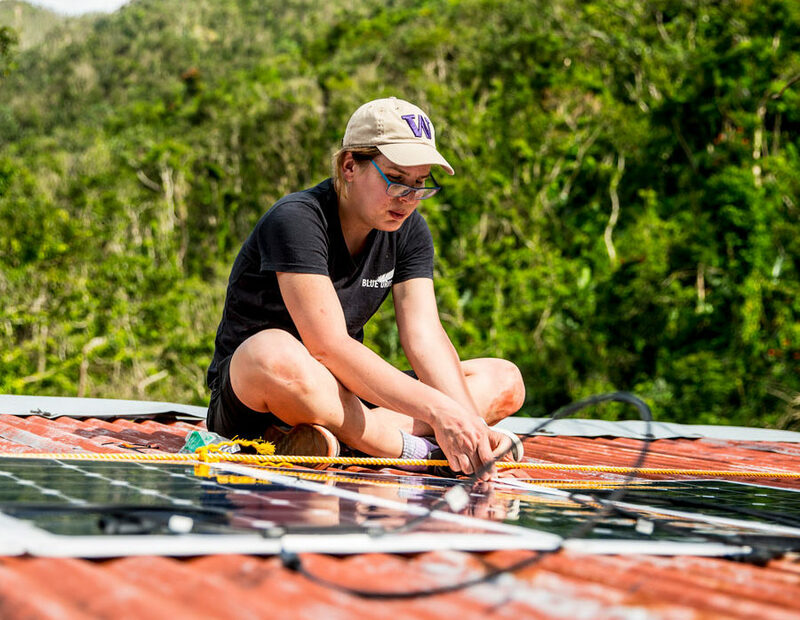 Returning to the island in March 2018, her team installed 17 additional nanogrids while continuing their long-term field study on the impact of power loss on public health. In July, they collected data from PV-battery systems with integrated loggers and administered surveys to gauge satisfaction with solar energy as an emergency energy supply. The team recently published their findings in IEEE Power & Energy magazine. They found that over a 10 to 15-year lifetime, PV-battery systems are cheaper than diesel generators for locations likely to experience more than 66 total days of power outages, and are already an improvement for patients that require electricity for multiple sustained hours or overnight. 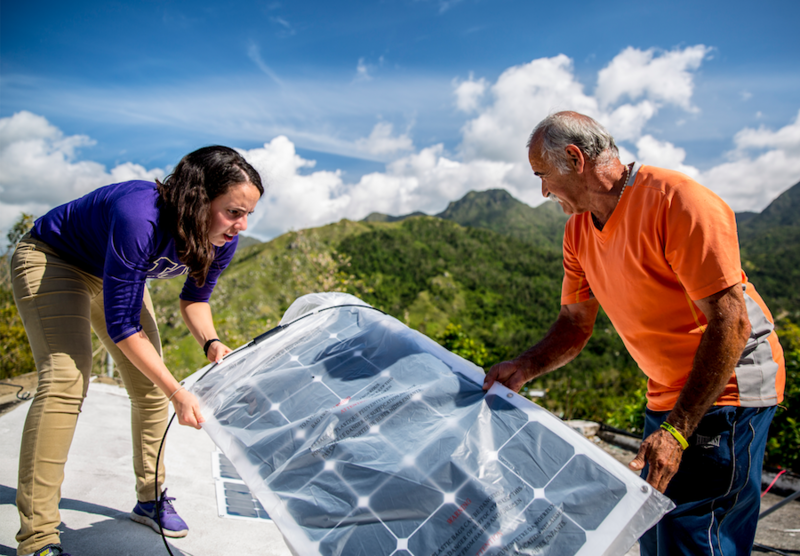 In the months following Hurricane Maria, Pozzo (third from right) led UW teams to Jayuya, Puerto Rico to install solar-battery nanogrid systems and assess energy needs for healthcare. “Moving forward, I’m hoping to continue the project with high-level data analysis,” explained Pozzo. “I’m working with CEI professors Daniel Kirschen and Youngjun Choe on proposals to analyze vulnerable populations so we can recommend improvements in preparation, and I hope a project will take place in Puerto Rico this year so we can continue making a positive impact. As part of the ChemE Innovation Program, Pozzo has led three student teams to raise several million dollars in outside funding to launch startup companies after graduation. This year, she is mentoring three groups working on sustainability projects. Along with the aforementioned oxygen generators, her students are developing anti-malaria drugs specially formulated for children, and a device to break down pharmaceuticals in waste water. While her mentorship raises all students to new heights, Pozzo’s impact has been especially critical to the retention of Latina graduate students in engineering. She sees inclusion as the most significant barrier for women in clean energy. 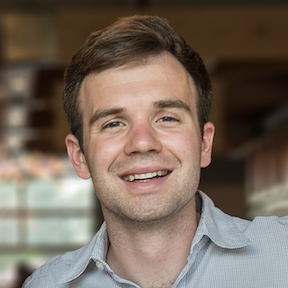 Membrion, a molecular materials startup founded by University of Washington (UW) chemical engineering alumnus Greg Newbloom (Ph.D. ’14, postdoc ’15-‘18), won $150,000 in Department of Energy (DOE) Small Business Innovation Research (SBIR) Phase I funding to develop nanoporous ceramic membranes for non-aqueous redox flow batteries at the Washington Clean Energy Testbeds. 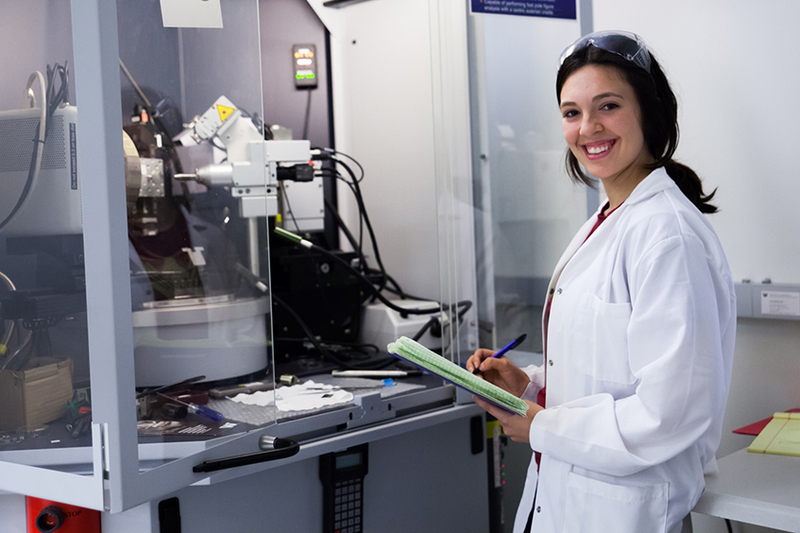 The SBIR program allows small businesses to fulfill federal R&D needs, stimulating technological innovation, commercialization, competition, and economic growth. The UW Clean Energy Institute’s Washington Clean Energy Testbeds are an open-access facility for scaling next-generation clean energy technology. Testbeds users from industry and academia can fabricate prototypes, test devices and modules, and integrate systems at the facility. Membrion’s technology is based on silica gel, the same material that is used in the preservative desiccants found in beef jerky packages. 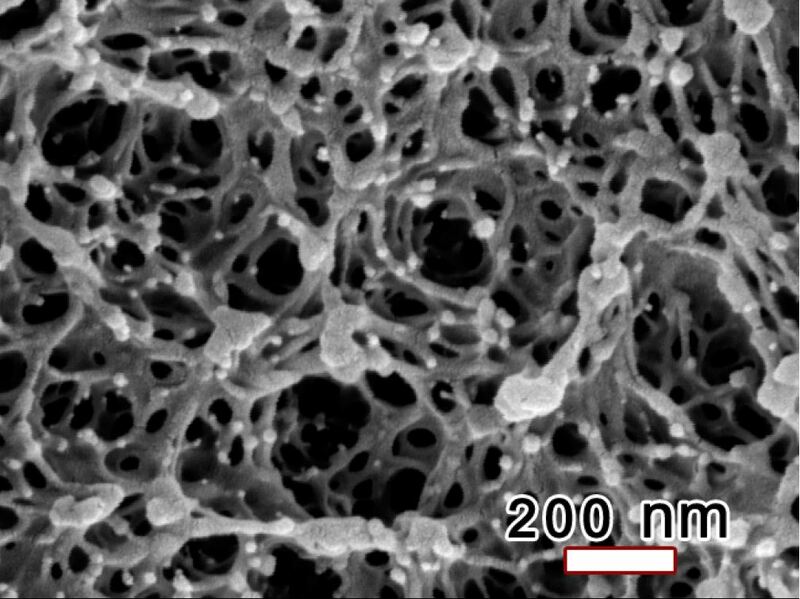 By coating a piece of fiberglass with the silica gel and curing it in acid, Membrion can create a ceramic membrane with controllable pore sizes. In flow batteries, membranes keep the positive and negative electrolytes separated while letting ions travel to complete the circuit. Membrion can also engineer smaller or larger pores to adapt the technology to filter drinking water or purify pharmaceutical molecules. 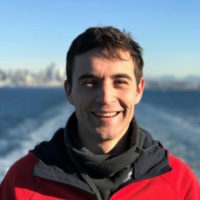 Newbloom founded Membrion in 2016 based on his postdoctoral research with UW chemical engineering professor Lilo Pozzo. Pozzo is a co-developer of the technology, and remains involved with the company as a scientific advisor. John Plaza, a veteran cleantech innovator, met Newbloom at the Testbeds while serving as the facility’s Entrepreneur-in-Residence. The Testbeds’ Entrepreneur-in-Residence provides Testbeds users and the public with insights about the commercialization process, target markets, product development, and fundraising strategies. 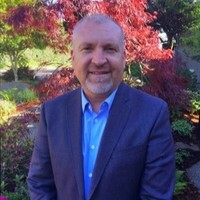 Plaza became president and CEO of Membrion in June 2017. Membrion is the third company to win federal funding for work at the Testbeds. In 2018, MicroConnex was awarded $980,000 by the U.S. Department of Defense’s NextFlex program to develop flexible hybrid electronics, and Vesicus was awarded $225,000 in Small Business Technology Transfer (STTR) funding to develop nanoporous thin films. Membrion has received $2.23 million in seed funding from investors including Bellingham Angel Investors, E8 and the E8 Fund, Sand Hill Angels, Sierra Angels, the National Science Foundation, and several individuals. Membrion has also has been backed by Amazon’s Catalyst program, the Murdock Charitable Trust, and the CalTech Rocket Fund. Upon completion of Phase I SBIR research in 2020, the company will become eligible for Phase II funding up to $1 million. The company also plans to raise Series A funding in 2020. These downloadable new articles deal with clean energy topics. They have highlighted vocabulary and comprehension questions. They were originally circulated with our educators newsletter. 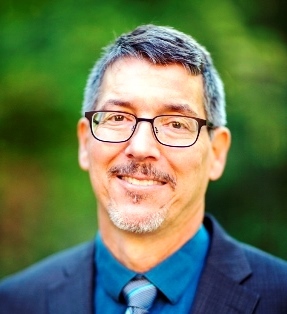 Two Northwest organizations representing the clean energy business community, the CleanTech Alliance and the Northwest Environmental Business Council (NEBC), have presented Michael Pomfret, managing director of the Washington Clean Energy Testbeds, with their 2018 Energy Leadership Achievement Award. The honor recognizes Pomfret’s work to accelerate the pace of cleantech commercialization in the region and beyond at the Testbeds. Pomfret oversaw the development of this open-access facility for prototyping, testing, and validating solar, battery, and system software/ hardware integration technologies, from construction, through opening in 2017, to tremendous first-year growth. The award was announced at the Energy Leadership Summit, where 400 industry leaders and policymakers from across the Northwest convened to address current challenges and future opportunities for clean energy. The CleanTech Alliance and NEBC highlighted Pomfret’s accomplishments in not only establishing a state-of-the art facility to help users de-risk a cleantech concept, but also his work to create a supportive home for cleantech innovators to grow and attract investors to the region. Pomfret is an expert in energy materials and devices. He has a Ph.D. in chemistry and has worked on energy device development at the U.S. Naval Research Laboratory and for several cleantech startups. The Washington Clean Energy Testbeds serves a growing community of over 210 active users. This includes 29 cleantech startups, mid-size companies, and major corporations like Microsoft, as well as University of Washington (UW) scientists and engineers. Additionally, five of those 29 companies have operations based at the Testbeds where they use the facility’s instruments, trained experts, and networks to build their startups or develop new product lines. Testbeds users pay a per-use fee to use state-of-the-art instruments and access UW staff. External users retain all intellectual property developed at the Testbeds. To best serve this mix of large and small enterprises and UW researchers, and to foster a vibrant cleantech ecosystem for the region, Pomfret has implemented several specialized programs at the Testbeds. The Entrepreneur-in-Residence (EIR) program, launched in partnership with UW CoMotion, is for users and others in the region interested in launching clean energy businesses. EIRs host regular public events and office hours to council established entrepreneurs and students. The Testbeds also host an Investor-in-Residence (IIR) program as a free consulting resource for local startups with E8, a cleantech-oriented angel investment group. 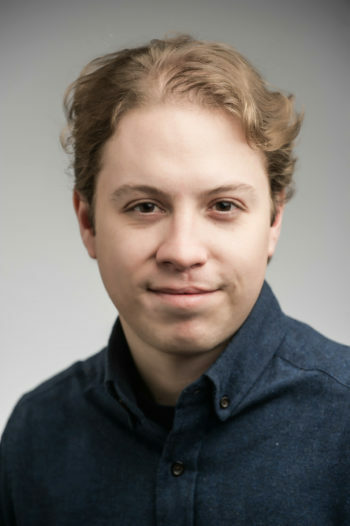 Leveraging UW’s clean energy research leadership and the Testbeds’ unique capabilities, Pomfret and Testbeds Technical Director and Professor J. Devin MacKenzie have helped local startups and cleantech companies win major research and development funding to advance their technologies. One current Testbeds user, MicroConnex in Snoqualmie, WA, recently secured a $1 million federally-funded research grant in partnership with UW researchers. 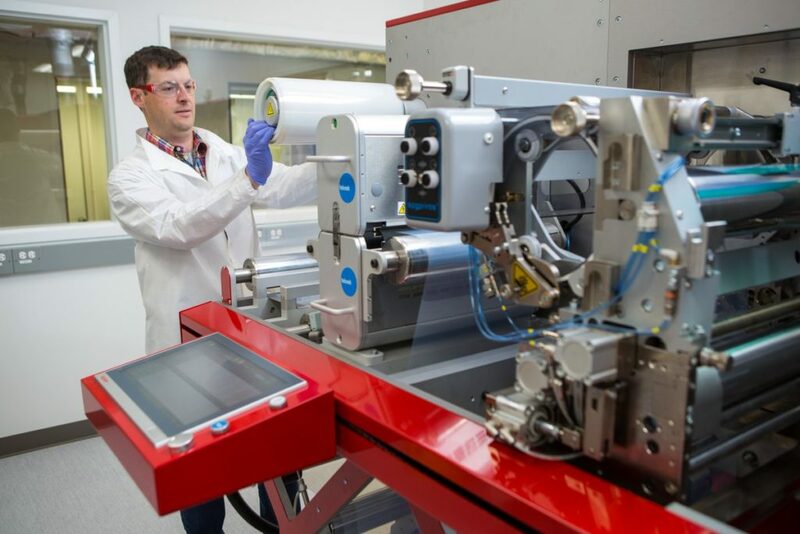 Vesicus, an advanced materials startup, recently won $225,000 in Small Business Technology Transfer (STTR) funding to develop nanostructured thin films for lithium-ion batteries at the Testbeds. Membrion, a UW spin-out and Testbeds user, just completed a $2.23 million seed funding round. 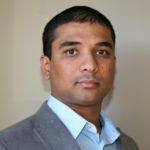 The U.S. Department of Energy (DOE) has pledged $2.84M to a research team led by University of Washington (UW) electrical & computer engineering (ECE) professor Brian B. Johnson to lower the cost of power electronics in solar photovoltaic (PV) systems. The DOE’s long-term goal is to cut the cost of solar PV systems in half by 2030, down to $0.03/kWh over the lifetime of a system. The multi-institutional team includes UW ECE professor Daniel Kirschen, leading experts from the University of Colorado Boulder (CU), the National Renewable Energy Laboratory (NREL), and semiconductor manufacturer Wolfspeed. Over a period of three years, Johnson’s team will develop ultra-low-cost electronics that convert direct current (DC) power from PV arrays into grid-compatible alternating current (AC) power. Unlike conventional DC-to-AC inverters used today which require a bulky and costly transformer to step up the low voltage that they produce, the proposed architecture is able to produce voltages up to the tens of thousands of volts using only electronics. The newly-proposed inverter will be assembled from many interconnected modular blocks where each block features a novel circuit design, state-of-the-art silicon carbide semiconductors, and advanced controllers. The resulting blocks are lightweight, self-contained, and autonomously-controlled, such that the overall system is modular and resilient to failures. This revolutionary design will reduce initial material and manufacturing costs by 30-50% compared to conventional inverters, and will also give higher energy efficiency due to a radically-new circuit design and the elimination of the external transformer. 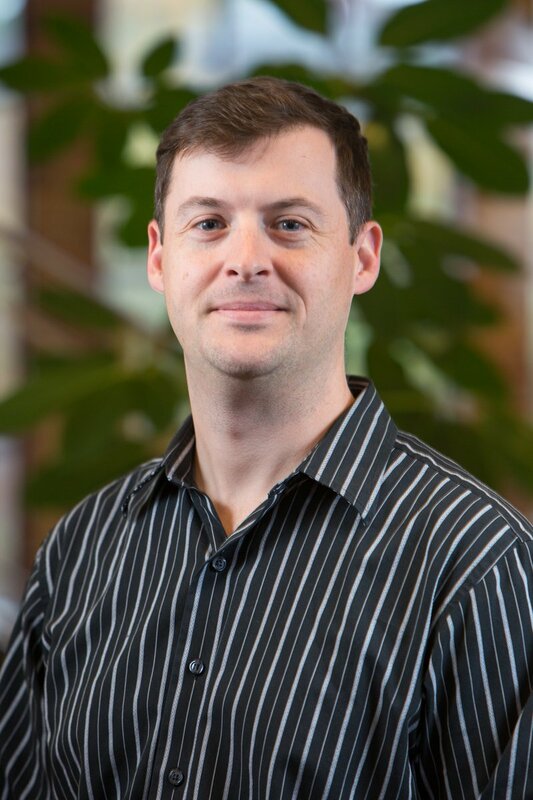 In spring 2018, Johnson joined UW as a Washington Research Foundation Innovation Assistant Professor of Clean Energy and Electrical & Computer Engineering. 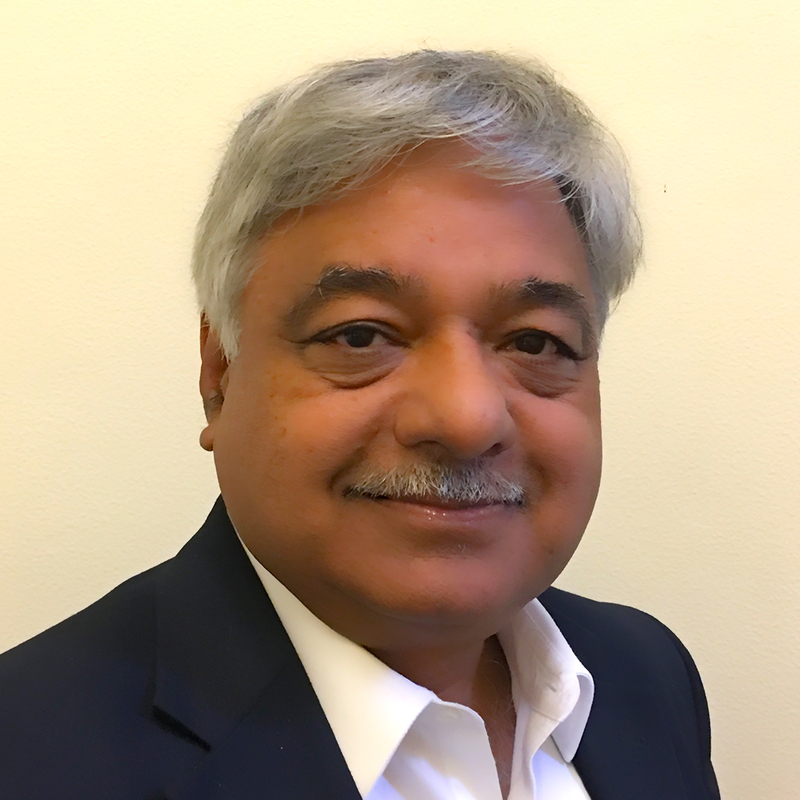 Previously, he worked at NREL, focusing his research on next-generation controllers and energy conversion circuits for power grids and renewable energy systems. Clean power generators like solar PV installations are naturally much more distributed and volatile than centralized fossil fuel plants, so power engineers must create advanced, automated controls to maintain grid stability during surges in energy demand and generation. For solar PV, the supporting hardware, including inverters, wiring, and racks, often costs more than the modules themselves. Daniel Kirschen, Close Professor of Electrical & Computer Engineering, joined the DOE-backed team as an expert on the economics and optimization of power systems. He will play an active role in the design optimization phase, which aims to minimize system costs. In the first year of the project, Johnson’s group will collaborate with CU’s Colorado Power Electronics Center (CoPEC) to develop the distributed control strategies, build a low-voltage testbed using six of the circuit-control blocks, and perform preliminary tests. In parallel, NREL will obtain market data and collaborate with both Johnson and Kirschen to design a cost-optimized system. The optimization process will reveal the design (device ratings, number of blocks, and other component values) which minimize overall cost. The developed controllers and optimized system designs will be finalized in the second year, and the team will perform tests of a 2kV block with Wolfspeed’s latest devices. In the third year, Johnson’s group, the CU team, and NREL will construct a medium-voltage six-block system, which will be able to produce 13.2 kV of grid-compatible ac power with very high efficiency. The demonstration will take place at NREL, using their state-of-the-art Controllable Grid Interface to emulate a 13.2 kV grid interconnection. The cost-optimized marketing plan created by the UW-NREL partnership will be presented at a final project workshop with industry participants. 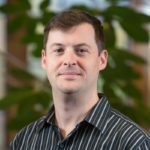 The Joint Center for Deployment and Research in Earth Abundant Materials (JCDREAM), a Washington state research collaborative, has awarded $631K to University of Washington (UW) materials science & engineering and mechanical engineering associate professor J. Devin MacKenzie and the Washington Clean Energy Testbeds. MacKenzie will use the funds, which UW will supplement with $187K, to purchase and install an ultra-high-resolution electronics printer developed at SIJ Technology, Inc. and Japan’s National Institute of Advanced Industrial Science and Technology. 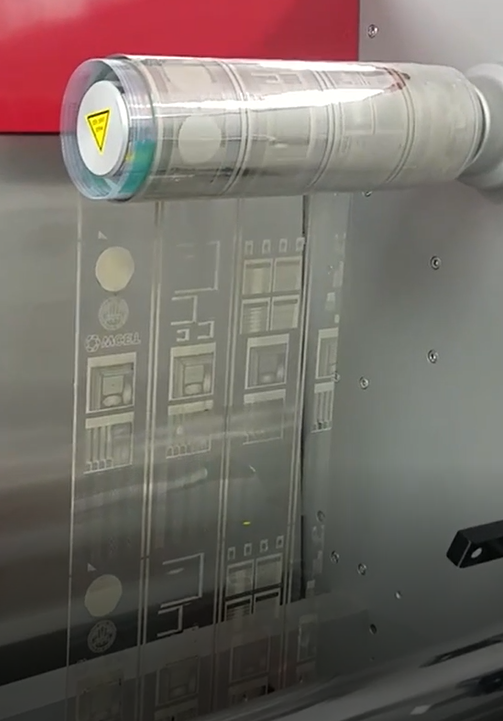 When integrated with the existing roll-to-roll printer at the Testbeds, it will be the first system capable of high-throughput printing at sub-micron feature sizes. The printer will be available to academic and industry Testbeds users for research and development, prototyping, and commercial manufacturing. Advances in printed electronics will allow next-generation electronic devices to be sustainably manufactured with earth-abundant materials. 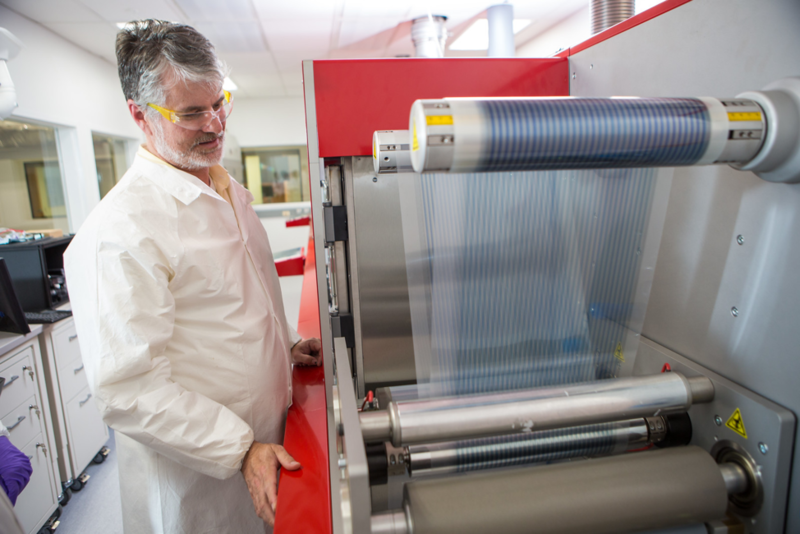 Professor J. Devin Mackenzie with the roll-to-roll printer at the Washington Clean Energy Testbeds. Devices like solar cells, displays, and touchscreens often depend on rare earth and scarce materials that are transparent and electrically conductive, like indium tin oxide (ITO). ITO is typically deposited on photovoltaic materials in a solar panel or the liquid crystal display in a smartphone. 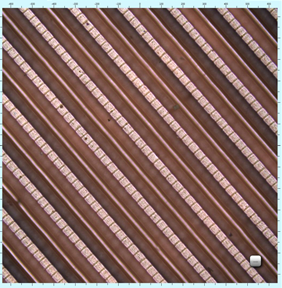 But indium is expensive and geologically scarce, while manufacturing techniques like vapor deposition, lithography, and etching can be energy-intensive or materially wasteful. There are also growing concerns about indium’s health and environmental impacts. 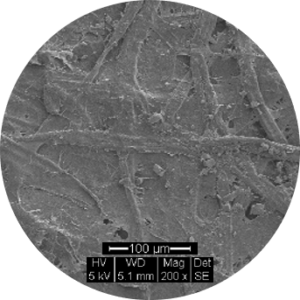 UW models have shown that electrodes made of earth-abundant materials can be patterned with micron-scale features — smaller than can be seen by the human eye — to make them competitive with ITO electrodes. 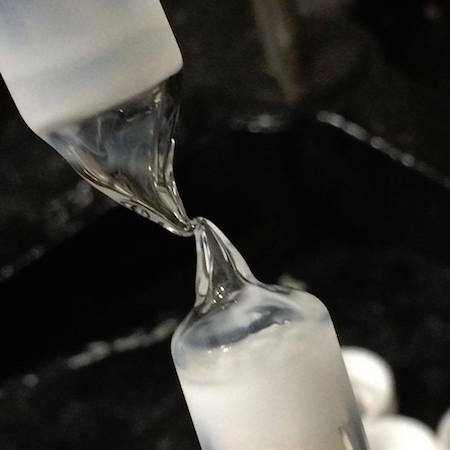 MacKenzie’s research group can now create this alternative using the advanced capabilities of the JCDREAM-funded printer, as conventional inkjet electronics printers are limited to 20-50 micron features. They will develop copper-based transparent electrodes with nanoscale features that will match or exceed the conductivity and transparency of conventional ITO electrodes. The additive printing process will also eliminate the etching process, reducing negative environmental impacts of the runoff as well as the amount of starting raw material. The printer developed at Japan’s AIST and SIJ Technologies. 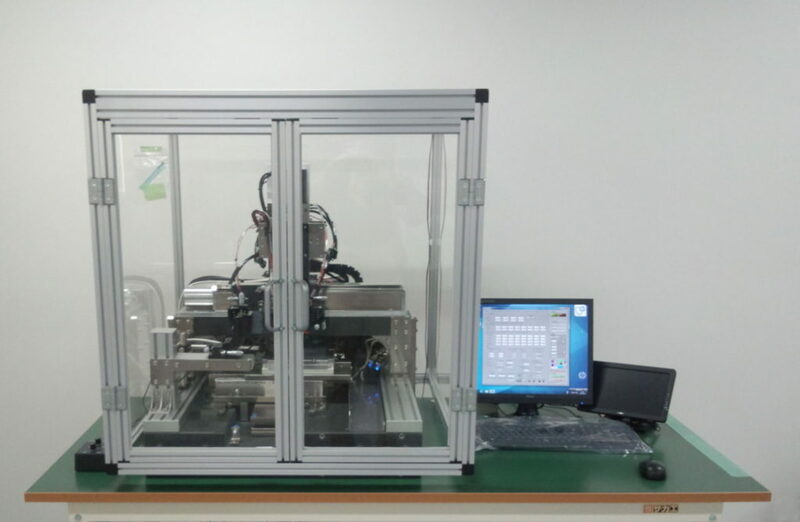 A custom version will be installed at the Testbeds, in order to integrate it with the existing roll-to-roll printer. 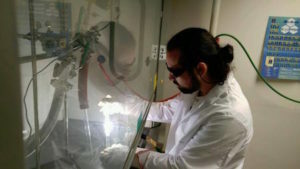 Ultimately, MacKenzie’s group aims to create a pathway to sustainable, scalable manufacturing of thin-film solar cells. Currently, indium is a limiting factor for thin-film solar cells due to its cost, toxicity, and long environmental life cycle. The copper-based transparent electrodes could also be used in flat-panel TVs, smartphones, and car windshields. 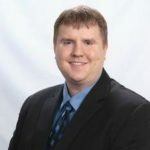 Along with the copper-based alternative to indium electrodes that his group is developing, MacKenzie believes that the revolutionary printing system will enable sustainable solutions for batteries, sensors, fuel cells, and catalysts that rely on lithium, palladium, and cobalt. JCDREAM is a research collaborative between Washington State University, UW, and the Pacific Northwest National Laboratory, with additional involvement from academic, government, and industrial institutes in the state that are involved in education, research, or manufacturing. It was established in 2015 to stimulate innovation in the use of earth-abundant materials alongside Washington state’s strong clean energy and transportation industries. The upgrade to the Testbeds is just one element of JCDREAM’s program of research, development, deployment, and training, with the goal of national leadership on the challenge posed by unsustainable use of resources and rare earth minerals. Washington Research Foundation Postdoctoral Fellow Max Friedfeld and Washington Research Foundation Innovation Postdoctoral Fellows in Clean Energy Daniel Kroupa and Jian Wang have been awarded Mistletoe Research Fellowships for the 2018-19 academic year. The Mistletoe Foundation builds bridges between the academic, entrepreneurial, and civil communities to create a more human-centered and sustainable future through technology. As part of the fellowship, awardees receive a $10,000 Unfettered Research Grant that can be applied to almost any university-approved research-related activity. Friedfeld, a member of chemistry professor Brandi Cossairt’s group, researches the growth of quantum dots (QDs), which are semiconducting nanocrystals with a wide range of optoelectronic properties and high-tech applications. One such application is next-generation TV and display devices: QD displays can achieve up to a 30% increase in the spectrum of available colors while using 30 to 50% less power than LCD TVs. However, today’s commercial products often rely on cadmium-containing materials that are relatively toxic, so Friedfeld has explored QDs made of an alternate material: indium phosphide (InP). He is developing a new flow-based synthesis method for InP QDs that will grant access to greater control over the reaction, allowing for uniform QD growth and modification of InP QDs while taking less time, resulting in higher yields, and generating less waste than batch InP QD synthesis. To develop the technique, Friedfeld will utilize the Vapourtec V-3 pump flow reactor at the Washington Clean Energy Testbeds. Because the Testbeds already own this crucial piece of equipment, Friedfeld can use the Mistletoe funds to purchase auxiliary equipment and material supplies for his research. He ultimately wants to commercialize this technique, with the aim of improving upon today’s industrial-scale manufacturing of QDs for displays and other applications. As a member of both Professor Cossairt and chemistry professor Daniel Gamelin’s research groups, Kroupa researches metal-halide perovskites, which have received considerable attention for next-generation solar cells due to low material and manufacturing costs and comparable performance to traditional silicon cells. Kroupa has found that selectively adding ytterbium ions (Yb) to cesium lead halide perovskites (CsPbX3) results in a unique phenomenon known as quantum cutting. Quantum cutting occurs when a single high-energy photon is converted into multiple lower-energy photons by a semiconducting material, due to quantum effects. 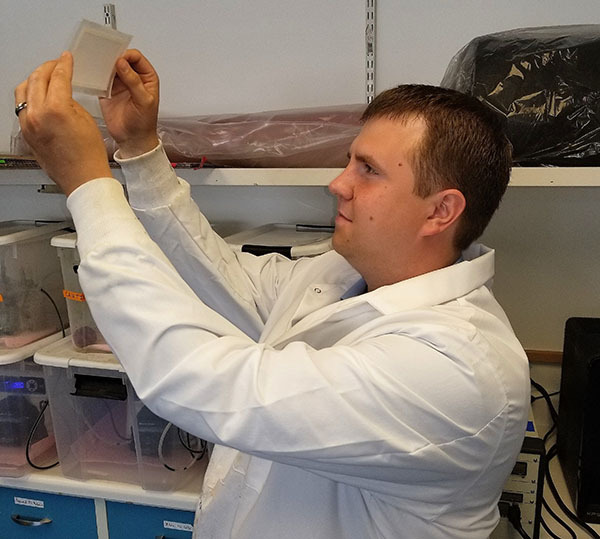 Using the facilities at the Washington Clean Energy Testbeds, Kroupa’s goal is to harness this property by coating conventional silicon solar cells with a layer of quantum-cutting perovskite. In conventional solar cells, a single photon can only excite a single electron. However, by converting extra energy from high-energy photons into additional low-energy photons that excite additional electrons, Kroupa’s perovskite layer could create a dramatic increase in efficiency at low cost. Wang’s research in CEI Chief Scientist and chemistry professor David Ginger’s group focuses on an existential challenge for organic photovoltaics: converting heat losses into usable voltage. Organic photovoltaics are a low-cost and flexible alternative to other photovoltaic technologies. However, current device configurations are susceptible to large voltage losses in the form of non-radiative recombination, which occurs when the energy from a photoexcited electron is lost into the surrounding atoms as vibration. 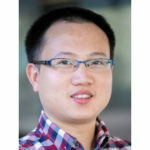 These losses often occur due to the use of fullerenes — large, geometric carbon molecules similar to graphene and carbon nanotubes — as the material that accepts excited electrons, so Wang is developing an understanding of non-fullerene acceptors. A guideline to avoiding non-radiative recombination would be invaluable for chemists trying to synthesize new materials for advanced organic photovoltaics. By integrating non-fullerene acceptors, Wang hopes to push forward the commercialization of organic photovoltaics. Congratulations, Max, Dan, and Jian! Daniel Schwartz, a University of Washington professor of chemical engineering and director of the Clean Energy Institute, received the Presidential Award for Excellence in Science, Mathematics and Engineering Mentoring (PAESMEM) from the White House Office of Science and Technology Policy and the National Science Foundation this week. 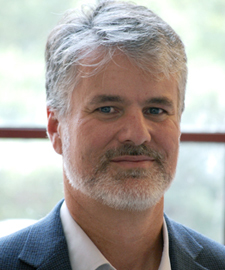 The OSTP and NSF recognized Schwartz for his commitment to interdisciplinary graduate education — helping students apply their research to societal and market needs — along with his dedication to recruiting and supporting Native American STEM (science, technology, engineering and mathematics) scholars at the UW. Starting in 2007, Schwartz launched an NSF-funded interdisciplinary graduate training program that used tribal clean energy research partnerships to attract top Native American students to graduate degree programs in UW’s College of the Environment and College of Engineering. The program was continued and expanded in partnership with Washington State University and Salish Kootenai College with U.S. Department of Agriculture funding, eventually including an undergraduate summer research experience program. Since the program launched, 26 students have completed doctoral degrees, with four awarded to Native Americans and four to other underrepresented minorities. Six masters have also been awarded — including two to Native Americans — and a tribal student-led startup company was founded. A signature achievement was the 2016 Alaska Airlines flight from Seattle to Washington, D.C. on fuel partially made from tribal forest thinnings. 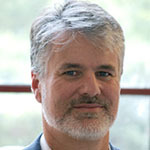 In addition to his role as an educator and mentor, Schwartz is the founding director of the UW’s Clean Energy Institute, an interdisciplinary research unit that supports the advancement of next-generation solar energy and battery materials and devices, as well as their integration with systems and the grid. With funds from the state of Washington, CEI has supported 152 graduate fellows pursuing clean energy research at UW. 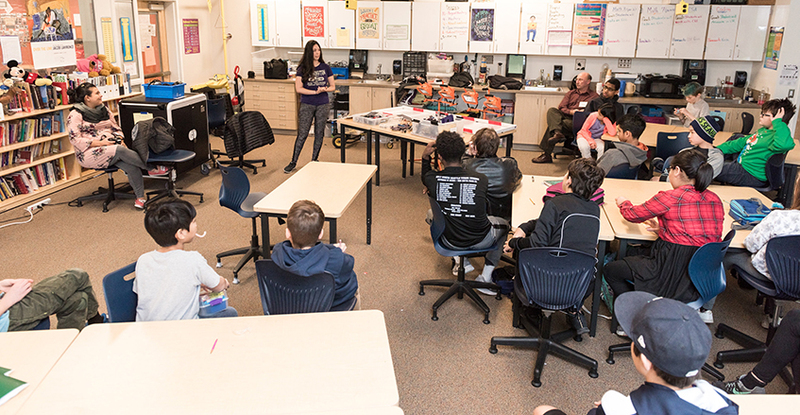 Through CEI, fellows receive professional development training, network with industry professionals and top clean energy researchers from around the world, and lead K-12 STEM outreach programs for Washington state schools. While in Washington, D.C to receive the PAESMEM this week, Schwartz and other award recipients participated in the White House State-Federal STEM Summit to identify educational priorities for the nation. To read the article on UWNEWS, click here. Magnetic materials are the backbone of modern digital information technologies, such as hard-disk storage. A UW-led team has now taken this one step further by encoding information using magnets that are just a few layers of atoms in thickness. This breakthrough may revolutionize both cloud computing technologies and consumer electronics by enabling data storage at a greater density and improved energy efficiency. In a study published in Science, the researchers report that they used stacks of ultrathin materials to exert unprecedented control over the flow of electrons based on the direction of their spins — where the electron “spins” are analogous to tiny, subatomic magnets. The team used instruments in CEI’s Research Training Testbed for this research. 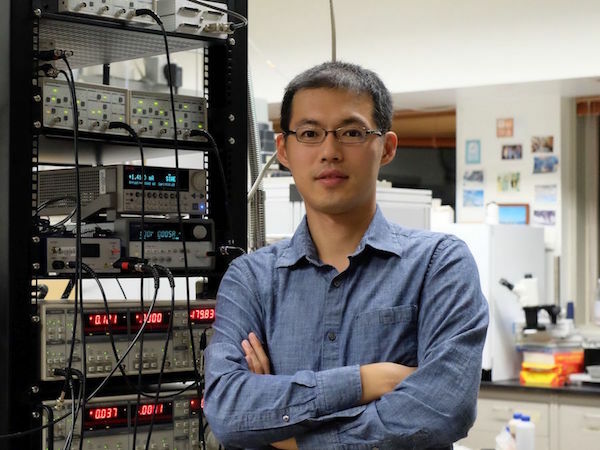 Read the full story featuring physics grad student Tiancheng Song and physics postdoc Xinghan Cai from CEI member faculty Xiaodong Xu’s lab here. The first scientist in her family, Tosado triple-majored in chemistry, environmental science and policy, and religious studies at the University of Miami before switching gears to pursue a dual Ph.D. in chemical engineering and nanotechnology and molecular engineering. 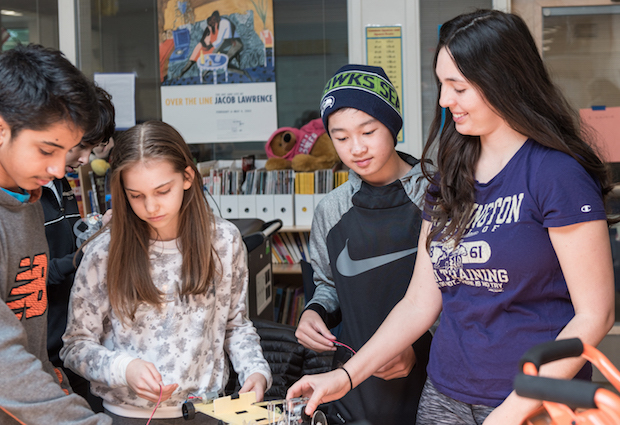 At the UW, she has melded her interests in sustainable engineering and community involvement through the UW Clean Energy Institute (CEI), where she’s been coordinating K-12 outreach programs since 2016. We recently caught up with Tosado, who was named to the Husky 100 last spring, to learn more about her research and passion for inspiring underrepresented students — particularly young women and students of color — to pursue STEM disciplines and careers. Why did you decide to study chemical engineering at the UW? Although I love chemistry, I wanted to pursue a solutions-focused, application-oriented course of study for my graduate work, so I started looking at engineering programs. When I visited Seattle to check out UW’s chemical engineering program, I discovered CEI, which had just opened on campus, and is working to advance clean energy technologies through solar energy, battery and grid research. When I realized I could get in on the ground floor of CEI’s innovative research, I decided that UW was the place for me. In her research, Tosado explores how to develop and stabilize perovskite solar cells. I’m working in ChemE professor Qiuming Yu’s lab to develop and stabilize perovskite solar cells. Perovskite is an exciting material that’s pretty new to the solar world. Its unique crystal makeup gives it a lot of interesting properties, and it can be printed on flexible materials, which is really cool. There’s hope that it may soon become a cheap, efficient, and high performing alternative to conventional — and expensive — silicon solar cells. But in its current state, it’s too unstable. We want to come up with a way to stabilize it so that it can be commercialized, ultimately making solar energy more accessible and affordable. You are CEI’s first education fellow and outreach coordinator. What does that involve? I develop outreach activities for CEI through the CEI Ambassador Program. 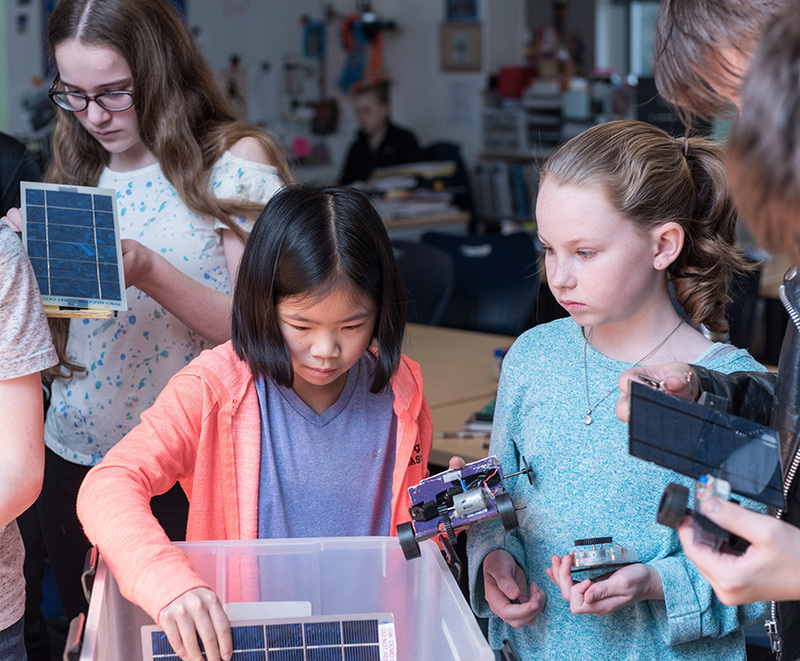 This includes everything from creating curriculum materials and organizing tours to traveling across Washington state to teach K-12 students about clean energy and encourage them to think about going to college to study STEM. I’m proud to say that we’ve reached more than 40,000 students across the state to date. Through CEI, I also started working with Pacific Science Center, and this year, I’m serving as a Pacific Science Center Communications Fellow. A few times each quarter, you can find me leading workshops and demonstrations at the Center as part of one of their many public programs, such as Meet a Scientist Day and Paws on Science Research Weekend. You are a founding member of Women in Chemical Engineering (WChE). Why did this group get started? ChemE assistant professor Elizabeth Nance started this group in 2016 to empower, educate and advocate for women in chemical engineering at all levels — undergraduates, graduate students, faculty and alums. In a male-dominated field like chemical engineering, I think it’s easy for women to feel invisible. With WChE we wanted to create a welcoming and open space for dialogue, mentorship and collaboration. We host professional development events, industry panels, and as the outreach coordinator, I create community networking and educational outreach opportunities. And we’re always excited to welcome new members! All students, regardless of gender, are encouraged to join and help us advocate for women in our discipline. This fall, you organized “Introduce a Girl to Nano,” a nanotechnology fair to encourage young girls and women toward STEM fields. Tell us about it. I organized “Introduce a Girl to Nano” on behalf of CEI and WChE and with help from some fantastic fellow UW students. In celebration of National Nanotechnology Day, our fair featured a variety of hands-on experiments for girls to try. They could react gold nanoparticles, race solar cars, create graphene circuits and rainbow thin film, and so much more! We offered STEM patches to Girl Scouts who participated, which was great fun. A lot of your outreach focuses on introducing underrepresented communities to science and engineering. In your opinion, why is it important to bring more diversity to STEM fields? I think it’s important for girls and students of color to see women and people of color pursuing STEM disciplines in college. When I was a kid, no one in my immediate family had a background in science, and I didn’t really have any women mentors in science to look up to. So I carved out my own path. I often think about how meaningful it would have been to have someone to look to and say, “She did this; I can do this, too.” I’m now in a position where I can be that person for someone else, and that’s really motivating. 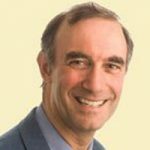 Speaking more broadly, engineers and scientists need to come up with solutions to today’s challenges, but to do so effectively, we need to be more creative and diverse in our problem-solving and ways of thinking. We need dynamic solutions in STEM, and the only way to get them is to diversify the field. The more difference, the more opportunity to cultivate and implement new ideas and approaches. Why do you make time for outreach? Outreach keeps me sane! In graduate school, there are many failures. You design, you test, and more often than not, you fail. So you start again. There’s a lot of stress. But in outreach there’s so much wonder and excitement; it’s infectious and promising! The smiles on kids’ faces when they test out solar spinners they’ve just made, or when they realize they can make a battery from scratch — those moments are awesome. And I can’t tell you how much it brightens my day to see a bunch of little girls line up to race solar cars. That’s the best! 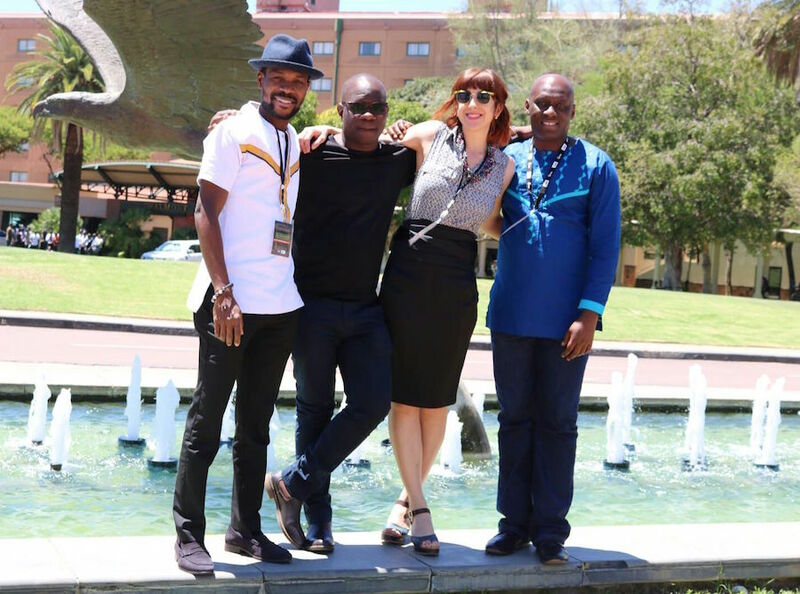 From left: Nutifafa Doumon (PhD student at University of Groningen), Andrew Banda (Lecturer at University of Zambia), Holliday, and Thywill Dzogbewu (Central University of Technology, Bloemfontein-SA). Photo credit: Nutifafa Doumon. Over 50% of the population of sub-Saharan Africa lives without access to electricity, amounting to nearly 600 million people. In regions without grid access, kerosene lamps and solid biofuels are often burned for light and cooking – a practice linked with the deaths of at least 490,000 Africans each year. Solar power, battery storage, and alternative fuels are as important to solving Africa’s electricity deficiency as they are to reducing the West’s reliance on fossil fuels, but African scientists often lack access to the infrastructure and funding necessary to make significant cleantech advances. University of Washington researchers are building connections with Africa’s cleantech community to help break down these barriers. 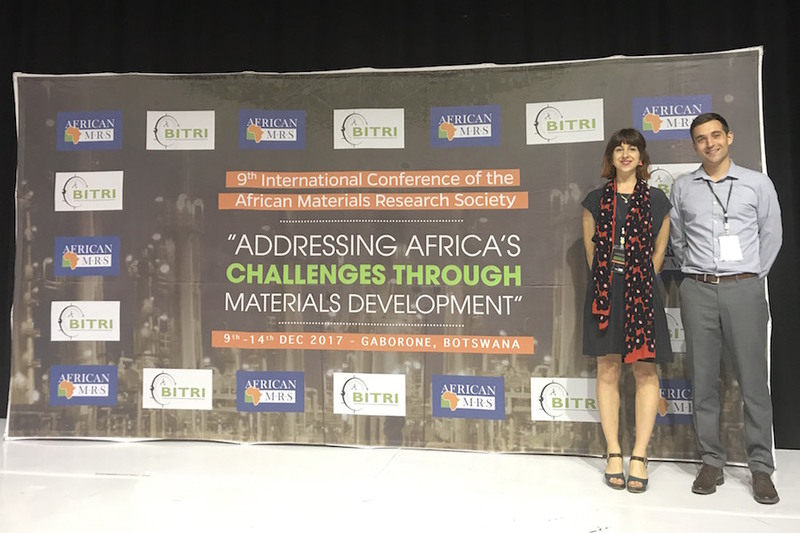 In December 2017, with support from the Clean Energy Institute, Sarah Holliday, formerly a postdoctoral member of Christine Luscombe’s lab (materials science & engineering), and Griffin Ruehl, a CEI Graduate Fellow in Charlie Campbell’s group (chemical engineering), traveled to Gaborone, Botswana for the 9th International Conference of the African Materials Research Society (AMRS). The conference, “Addressing Africa’s Challenges Through Materials Development,” was focused on science that will enable local industries to meet the continent’s existing and future needs by using readily-available materials and natural resources, including its abundancy of solar energy. 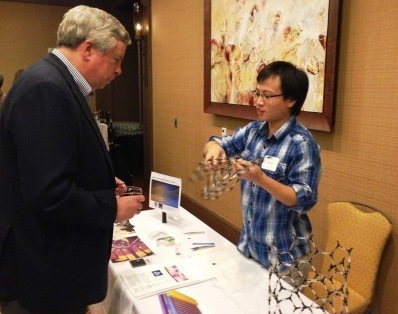 In addition to presentations and networking opportunities, AMRS offered free workshops on materials science techniques such as crystallography, nanofiber electrospinning, and scanning electron microscopy. Both Holliday and Ruehl presented their research at the conference. Holliday and Ruehl, pictured at the AMRS conference in December 2017. 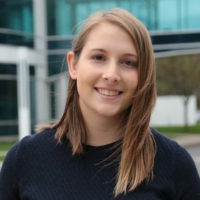 Holliday (now at Imperial College London) performed research on thin-film organic photovoltaic (OPV) cells during her time at UW, culminating in a paper recently published in Advanced Electronic Materials. Her research illuminates a significant advance in the stability of OPV devices. 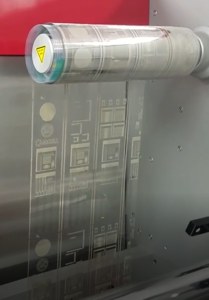 Holliday shows that using solvents with lower boiling points in manufacturing reduces degradation due to light and oxygen exposure, allowing for roll-to-roll printing of OPV cells at room temperature. Silicon fabrication requires hundred-million-dollar facilities and temperatures over 1000°C, whereas roll-to-roll printing costs significantly less in capital and energy input. “The target is a 1-day energy payback for the whole OPV module,” Holliday said, as opposed to years for silicon-based photovoltaics. Ruehl also presented at the AMRS conference, although he is still in the earlier stages of his research. Professor Campbell is known for his expertise in catalysis and surface science, which Ruehl is applying towards a fundamental understanding of biofuel synthesis, in which raw biomass is broken down into an intermediate “soup” before conversion into fuel. A knowledge of reactivity trends of the “soup” molecules may allow for the development of more efficient reactions, especially electrocatalysis that could be powered by decentralized, renewable resources. At the AMRS conference, the group made connections with the African Network for Solar Energy (ANSOLE), as well as the Materials Science and Solar Energy Network for Eastern and Southern Africa (MSSEESA). In September, Ruehl and Sperry will co-organize ANSOLE Days 2018, a conference hosted by ANSOLE at a vocational school in Cameroon. Along with the traditional research-based lectures and presentations, the event will include training sessions on mounting and maintenance of solar panels, as well as safety measures. “Hands-on training and discussion at the practical end of the spectrum is important for implementation, and this format will also help us understand the best ways for us to create positive impact,” Ruehl remarked. UW students interested in joining this globally-minded initiative for clean energy solutions should contact Ruehl and Sperry at gruehl@uw.edu and bmsperry@uw.edu, respectively. Jiun-Haw Chu, Washington Research Foundation Innovation Assistant Professor of Clean Energy & Physics, was recently awarded $1.2 million from the Gordon and Betty Moore Foundation’s Emergent Phenomena in Quantum Systems (EPiQS) initiative in support of the discovery and investigations of atomically thin and layered quantum materials. 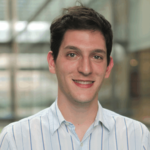 He has also been named a 2018 Alfred P. Sloan Foundation Research Fellow, having been nominated by his peers in recognition of outstanding performance and potential within the field of quantum materials. 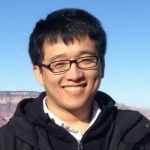 CEI talked with Chu about how these prestigious awards will advance his research, his career path, and his experience at UW thus far. Tell us about your research. How do you design and grow these materials from the bottom up? My group is focused on the design, growth, and characterization of novel quantum materials. Quantum materials have electronic, magnetic, and optical properties that could revolutionize energy and information-processing technologies. We can grow crystals from 85% of the elements on the periodic table through use of the flux method, in which the components are dissolved, combined, then slowly cooled. This process results in large single crystals in a relatively short time scale, ideal for exploring a wide range of material phases. Our approach differs from those that are solely focused on measurements or material synthesis, because we combine intuition from physics, chemistry and materials science. We look at the chemical formula of a material and see what atoms can be replaced to create an exciting new property. Why did you choose the field of quantum materials? Quantum materials is a field that allows me to touch upon some of the most profound concepts in physics, such as topology and quantum field theory. At the same time, it also requires hands-on experiments with materials that could actually impact society. I like to travel back and forth between abstract ideas and down-to-earth experiences. What are some of the possible applications for the quantum materials that you are researching? While our group is generally focused on fundamental studies and discovering the properties of new quantum materials, some significant research targets include high-temperature superconductors and topological insulators. Harnessing the unique magnetic and electrical properties of superconductors at accessible temperatures would be ideal for grid-scale power transmission, battery-powered airplanes, and advanced MRI machines. Topological insulators, which are materials that conduct electrons at the surface but act as insulators within the bulk, show promise in quantum computing applications. Congratulations on the Moore Foundation grant! What advances will this allow you to make? The Moore Foundation has supported many of the prominent figures in the field of quantum materials, so I feel privileged to be a part of that community. 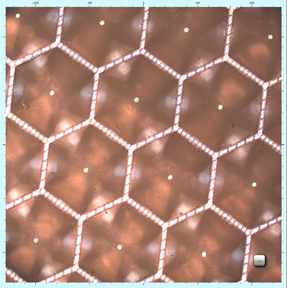 The proposed focus of the EPiQS research is to be able to grow a wide variety of heterostructures – crystals with regions or layers of multiple different materials. The interfaces between layers, called heterojunctions, are often the site of new material behaviors or properties. You have also been recognized by the Sloan Foundation for your contributions early on in your career. What advice might you give a graduate student or postdoc that is looking to make an impact early on in their own clean energy research? It’s very hard to predict what will be the next big thing in 5-10 years. To be honest, I was very lucky, and happened to be at the right place at the right time. Work on something you are passionate about, something you love, and you won’t regret it. Tell us about your relationship with UW’s Clean Energy Institute. CEI Director Dan Schwartz played a big part in my decision to become a professor at UW. Over lunch, Dan illustrated how CEI could be a platform for interdisciplinary, collaborative research with a focus on materials and technology that could impact society. Shortly after I arrived on campus, CEI helped me quickly establish my group and connect to other researchers. I collaborate with many other CEI professors, like my fellow physicists Xiaodong Xu, David Cobden, and Kai-Mei Fu, and am looking forward to doing even more work together through the Molecular Engineering Materials Center (MEM-C). These collaborations will also help my research under the Moore grant, as these professors have expertise in the physics of nanoscale and 2D materials. CEI has also facilitated our efforts to build a team with the Pacific Northwest National Laboratory (PNNL) to create new heterostructures. 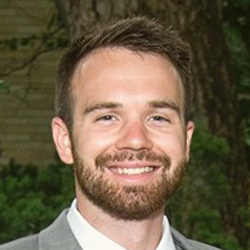 CEI has funded two of my graduate students — Shua Sanchez and Josh Mutch — as part of the Graduate Fellowship Program, which has been a great way for them to connect to other researchers on campus and the broader cleantech community. Finally, I have collaborated with CEI chief scientist and chemistry professor David Ginger and Professor Xu to support research on the behavior of charge carriers in single-crystal perovskites, thanks to a CEI Exploration Grant. You’re coming up on two years at UW! What have you enjoyed the most about your time here? Everything! My wife and I were already in love with Seattle when we were graduate students, long before we moved here. I also truly enjoy the friendly and supportive environment at UW, and enjoy interacting with my colleagues, and brilliant and hard-working students. As renewable resources are integrated into the grid, energy storage must be planned and deployed in order to harness and balance the natural fluctuations in electricity generation. Electrical engineering professor Daniel Kirschen and his students have continued to develop a model for optimal siting and sizing of storage utilities by adding a profit constraint for proposed systems. The Kirschen group utilized the Western Electricity Coordinating Council (WECC) testbed for their simulations. The 240-bus (power transmission node) system represents the Western Interconnection grid that spans from the Pacific past the Rockies and includes British Columbia, Alberta, and part of Baja California. The results of the case study, as published in IEEE Transactions on Power Systems, show that increased rate-of-return requirements result in decreased deployment of energy storage. A comparison between lithium-ion batteries and above-ground advanced adiabatic compressed air energy storage (AA-CAES) shows that AA-CAES has the higher potential for reducing system-wide costs. However, AA-CAES technology is still at the pilot stage, with the first-ever utility-scale installation scheduled to open in Germany later in 2018. Lithium-ion storage systems are not deployed in any of the model market scenarios at current investment costs, but those costs are expected to continue to decrease for the next 10 years. At a 30% decrease in investment cost, lithium-ion installations are projected to be profitable investments within the Western Interconnection energy market. Metal nanoparticles (NPs) supported on oxide surfaces are often used in industrial catalysis for energy and environmental technologies, such as in the production of clean fuels and the cleanup of exhaust emissions. The catalytic activity and deactivation rates of metal atoms within NPs have been shown to depend upon NP size and the properties of the supporting oxide, but catalysis chemists have yet to be able to quantitatively predict these effects. In this paper, published in ACS Catalysis, Professor Charles T. Campbell (chemistry) and graduate student Zhongtian Mao present a method of estimating the chemical potential of these metal atoms. This represents a significant step toward predictions of catalytic activity and deactivation rates, as those characteristics are correlated with chemical potential in known ways. For late transition metals, the chemical potential of the atoms in a particle of a chosen size can be modeled as a function of the surface energy of the metal, the adhesion energy at the NP/oxide interface, and the molar volume of the metal. Campbell also presents a linear estimation of that adhesion energy, based on oxygen density on the surface of the oxide and known thermodynamic properties of the metal and the oxide. The model is the first to allow for predictions of chemical potential vs. NP size for different metals on different oxides, with relative errors better than ~20%. This June, a team led by Professor Xiaodong Xu (physics; materials science & engineering) discovered the first two-dimensional (2D) material with intrinsic magnetism: chromium triiodide (CrI3). This December, Xu, physics professor David Cobden, CEI Graduate Fellow Kyle Seyler, and graduate students Ding Zhong and Bevin Huang observed photoluminescence in monolayer CrI3 crystals, as detailed in a paper published in Nature Physics. This observation is a first for a magnetic monolayer, and curiously, the photoluminescence exhibits spontaneous circular polarization. The emitted light waves trace out a helix, where the clockwise or counterclockwise orientation is determined by the magnetization direction of CrI3. This circularly polarized photoluminescence does not require an external magnetic field, in contrast to similar phenomena in other materials. The UW team also studied bilayer CrI3, which did not exhibit circular polarization in its photoluminescence. This observation supports their previous finding: that CrI3 bilayers have zero net magnetization. These discoveries are promising for further magneto-optical studies, as well as novel magneto-optoelectronic devices and van der Waals heterostructures. Described as “atomic Lego,” these devices consist of artificially stacked monolayers held together by van der Waals intermolecular forces. 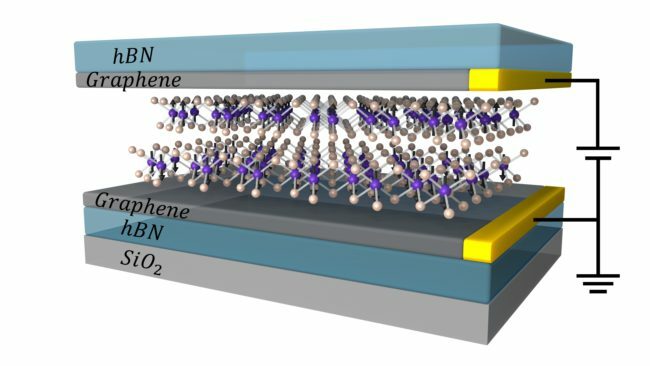 Van der Waals heterostructures already show promise in next-generation solar cells, LEDs, and transistors, and the UW team’s investigations of CrI3 could expand these applications to include energy-efficient magnetic information processing and storage.